The Dayton is a truly innovative recliner design. 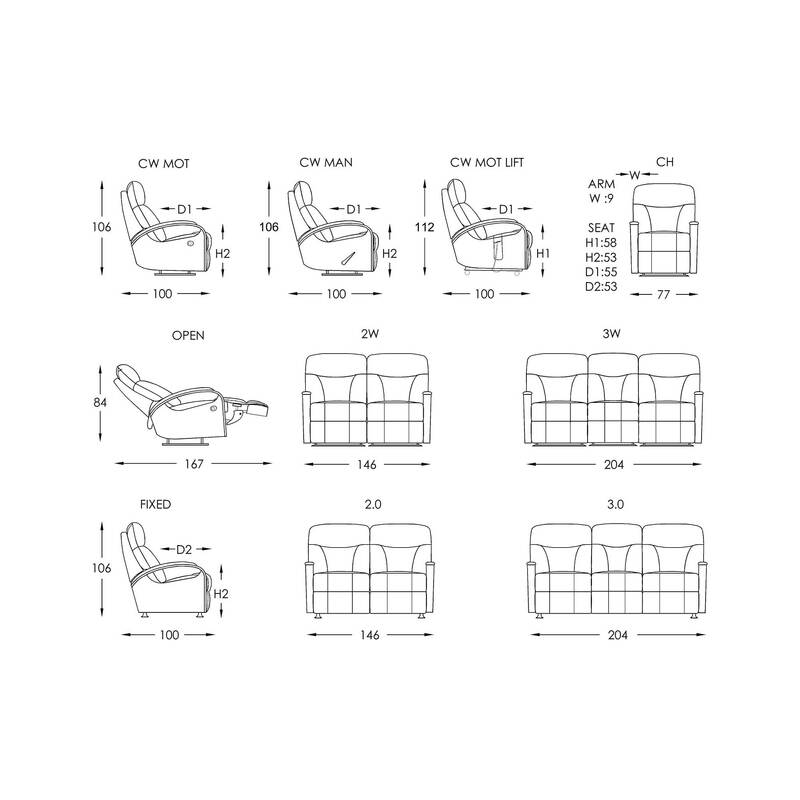 Featuring the latest in contoured seating comfort, the Dayton Recliner features three distinctive padded zones across the head and back to support you in the utmost of comfort. This modern recliner is easily identified by its unique curved cut-out arms and exquisite wood panelling. Upholstered in our beautiful Dunbar Bunker chocolate leather, the Dayton Recliner makes for the ideal home theatre seating. The Dayton Recliner is designed in Australia, ensuring that the best aspects of Moran’s unique, luxury style are applied to new designs, staying relevant to local design influences and the modern Australian way of living. 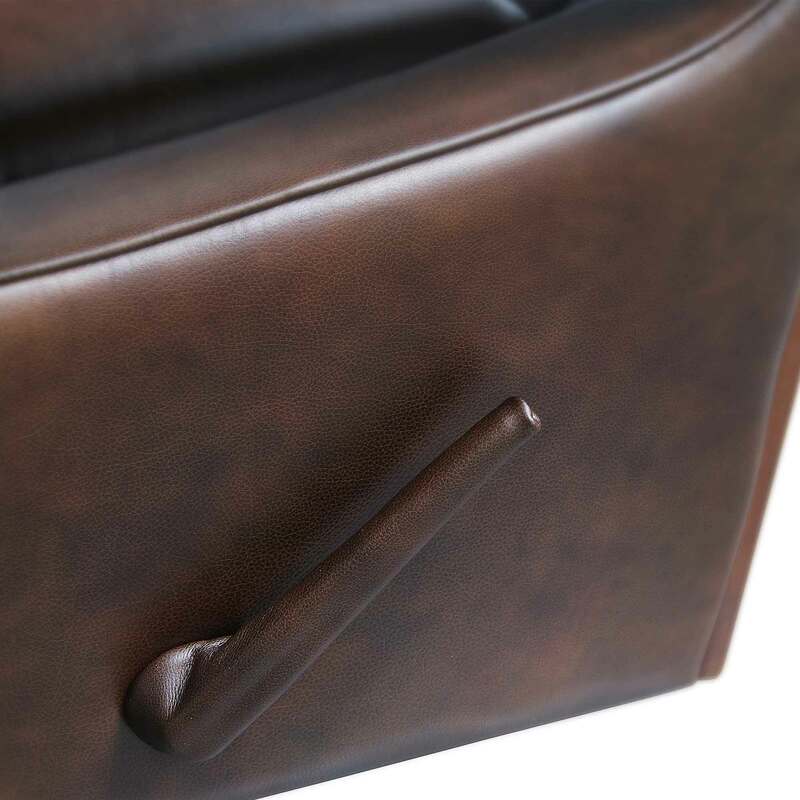 Bespoke manufacturing ensures each Moran piece made can achieve a luxurious level of comfort and attention to detailing, that often falls short with widely adopted mass production methods. The Dayton Recliner features a kiln-dried, close-grain hardwood timber frame, providing the underlying quality framework needed for lasting structural integrity. Tempered Steel Sprung Structural Support ensures body correct support and the ultimate experience in long-lasting relaxation, while Spring Cell Seat Cushion Inserts add extra comfort and extend cushion performance, offering an additional layer of individualised support. The Olympus is a modernised recliner style, designed with rest and relaxation in mind. Sink gently into the soft and supple cushioning. Enjoy all the traditional comfort of a classic, Moran recliner while enjoying the visual sophistication of the modern squared arms with large upholstery panels that delivers a high-end look. Upholstered in our popular leather; the Olympus is recline perfection. 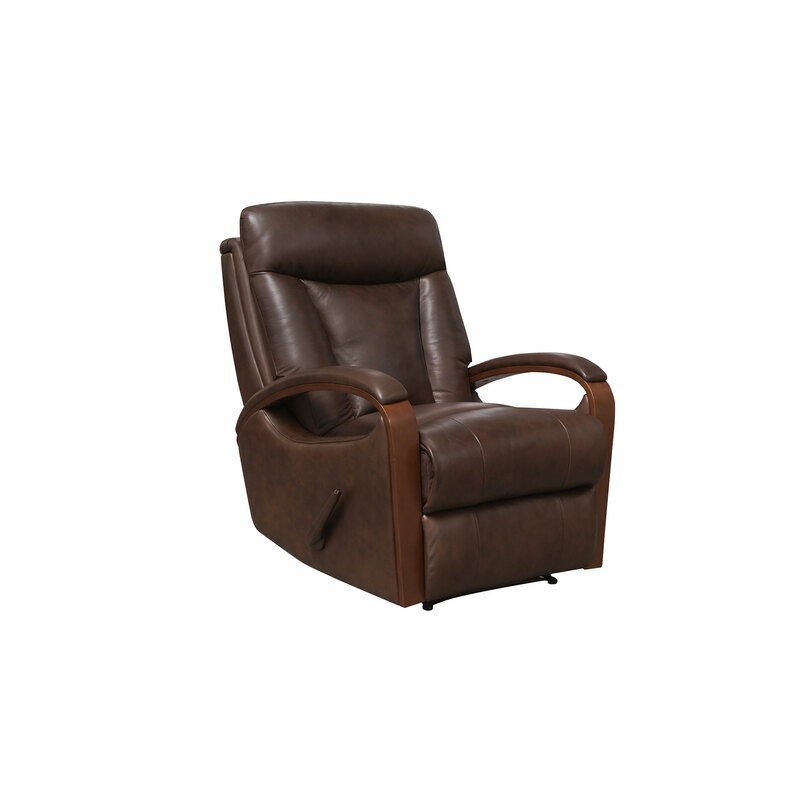 A grand, accommodating recliner, the Sultan was designed with rest and relaxation in mind. The Sultan's ample size allows you to sit back and sink gently into the soft and supple cushioning. Featuring a dual waterfall style back with panel stitched upholstery, this comfy design is mimicked in the reclining footrest. Comprising of modern squared arms and upholstered in our popular Dunbar leather; the Sultan looks the picture of contemporary recliner perfection. A luxurious recliner with a modern edge, the Pilot is the perfect blend of sumptuous comfort and tasteful styling. Characterised by its strong, tapered silhouette, generous high back and softly curved, luxuriously padded arms, the Pilot will make a statement in any room. Featuring a dual waterfall style back with a smaller padded zone headrest, this stylish design is replicated in the pop out reclining footrest. The Pilot is a smart and comfy recliner, wonderfully supportive cushioning yet with a sleek design style that will look effortlessly attractive.This design is available with many operation options. Please ensure to always select your preferences at the time of placing your bespoke order to enhance your ultimate enjoyment. The Cloud recliner is one of Moran's most popular recliners ever created. Its popularity is due to its generous proportions and the attention to detail that goes into its comfort-driven design. Featuring a dual waterfall style back, softly padded arms and precision panel cushioning; the Cloud recliner ensures you can relax and sit back in sumptious comfort for hours on end. With an accommodating footrest folding neatly back into place and Moran's signature "Wallsaver" recliner technology, the Cloud is as practical as it is comfortable.